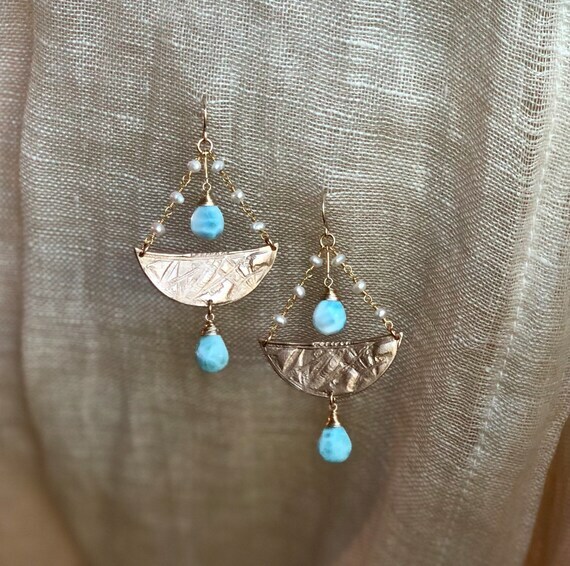 Original handmade bronze components are adorned with larimar gemstones and pearls in a cascading chandelier style with 14K gold-filled ear wires. They are approximately 2.25" long. These would be beautiful on the beach...in a bikini or a wedding dress!